During his visit to Machu Picchu must take into account that Aguas Calientes (Machu Picchu Pueblo), has a population of just over 5,000 inhabitants, a fairly small town, besides being accessible only by rail, so the items you find in the business will be somewhat limited. Although Machu Picchu Pueblo has drugstores and pharmacies, most of these only sell basic drugs. You must bear in mind that if your health requires some special medicine or difficult to find, you should buy it in the city of Cusco before the trip. There are small wineries, (called so locally); there are small shops where you can find: packaged food and groceries; also you find other places dedicated to photography and video, but also with very basic items. You will find batteries, disposable cameras, memory cards for cameras, etc. 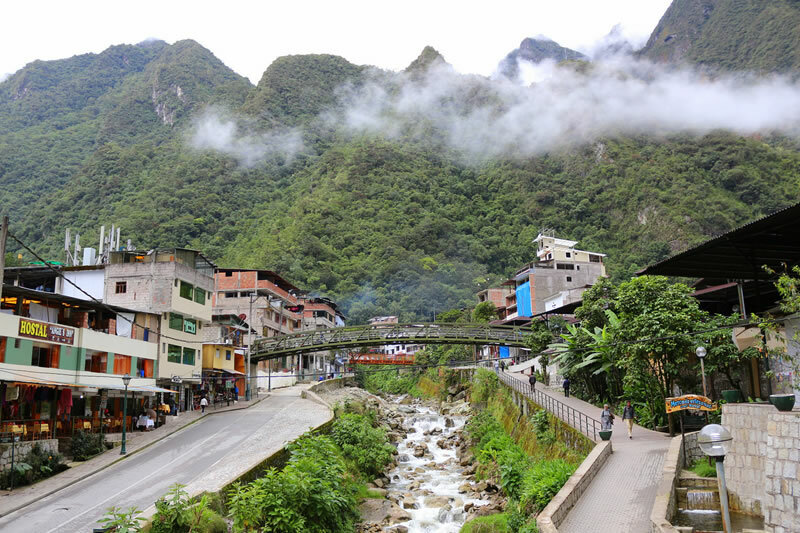 Next to the train station, you will find a craft market, where you can find many souvenirs of the Inca City, clothing, handmade jewelry, among others. And of course in this market you can find local crafts, utility and decorative type, with work in a variety of materials, like clay, stone and wood, also lush with beautiful works in silver and gold produced in the village of Machu Picchu, or craftsmen who bring to the rural communities of the area, but to it adds, artisanal producers of Cusco and other cities in the Sacred Valley, as Ollantaytambo, Pisac, etc. The crafts that find, have an obvious and strong inclination to expressions of Inca art, but also from the colonial and contemporary times; and you can find the most remarkable he could see in Machu Picchu carved in stone, imitation pre-Hispanic ceramics, textiles of all kinds, in fine alpaca wool, clothes, carpets and others. Also silverware, jewelry, paintings and pictures, with influence from the Cusco School, woven straw baskets, antiques, prints on leather, and more.